Did you know that the average American consumes over 400 liters of water a day – or about 100 gallons? (For those metrically disadvantaged, one gallon equals 3.78 liters.) Did you know that over 800 million people in some parts of the world survive on just 4 liters of water per day? That’s one hundred times less! If you think you’re using more than your fair share, fear not; I still encourage you to stay hydrated and drink your eight glasses of water a day (that’s almost two liters right there). Part of what DIGDEEP is promoting is their “4 Liters Challenge,” asking people what they would you do if they could only use 4 liters of water per day like those 800 million I mentioned above. 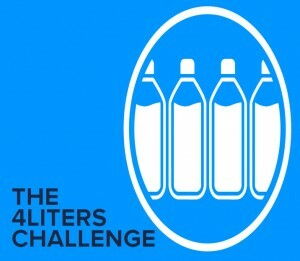 The 4Liters Challenge is an effort to educate the public about water consumption and think about the value of water in your life. Of course saving water in the United States doesn’t mean that there is more water for thirsty people in Africa! Kinda reminds me of the arguments I had with my Mom as a kid. “Mom I don’t want to eat lima beans!” “Think of the starving children in Africa.” “Well they can have my lima beans!” At about 8 pounds per gallon (2.2 pounds per liter) water is heavy so sending any appreciable amount of water from the U.S. to other parts of the world is impracticable (and now you know why bottle water is not a sustainable solution). So what’s the value of the 4 Liters Challenge? First it should remind us how blessed we are with safe, reliable sources of water. It should make us aware of the need to value and protect these water supplies – they are literally sources of life! By valuing water, we should make sure that what we use is used wisely. Finally the challenge is a way to raise money to help develop water supplies in those parts of the world that most desperately need it. If you complete the 24-hour challenge you earn the right to challenge friends as well. 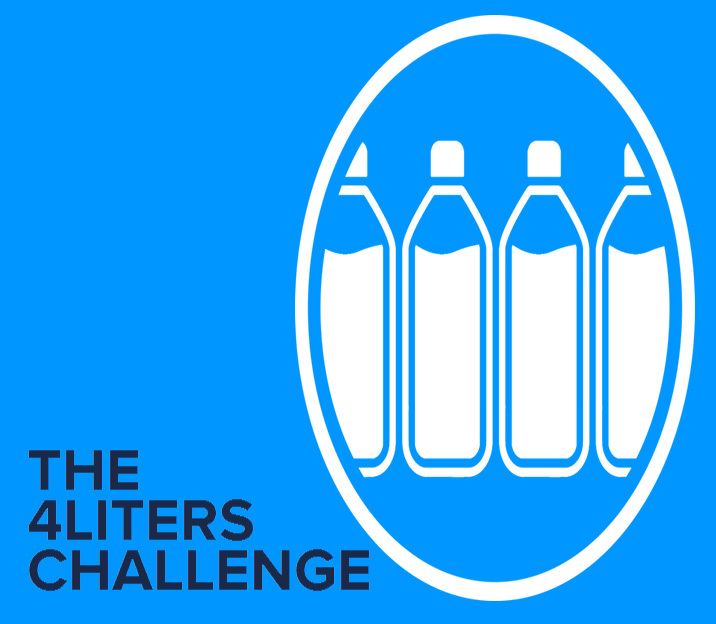 During your challenge you are encouraged to share your videos and pictures with others on your social accounts using the hashtag #4liters to try to raise over $40. Teachers can use the 4Liters challenge into classroom to promote water awareness and discuss the value of water. Think about it; showering, brushing teeth, cooking, cleaning, and drinking. There are so many aspects of our daily lives that become immensely tougher when trying to do them with only a trickle of water. And that’s the point – think about it!